Polish Addict Nail Color is all about summery goodness right now. 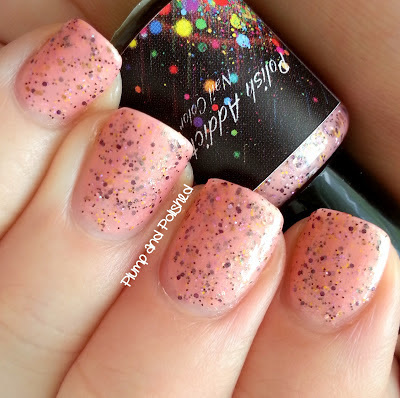 If you missed out on my first two Polish Addict posts, you can check them out here and here. Today's installment features Island Girl, a great neutral. Polish Addict Hand Made Nail Polish are cruelty free and made with 3 free suspension base (holds glitters, micas, pigments), *DBP FREE *Toluene FREE *Formaldehyde FREE Glitters are rigorously tested before release, and I stand behind my polishes 100%. Please click on the picture to enlarge for a better view. The formula on this was incredible. I for sure thought I'd need a base color or four coats. I was pleasantly surprised to have needed just two coats. It went on effortlessly and the glitter pay off was awesome. Dry time was great. I didn't have any problems with pooling or dragging. The glitter is a bit gritty after drying, but it was nothing a coat of Seche Vite couldn't fix. As you can see, it's perfectly smooth after top coat. The glitters in this twinkle like crazy in the sunlight. I'm typically not a fan of browns and golds, but this looks really nice together. It's just not something I would pick out for myself. This would look so much better on someone with a tan or darker skin tone. This might be my favorite picture in the whole post. Look at those beautiful opal glitters! I love them. LOVE THEM. 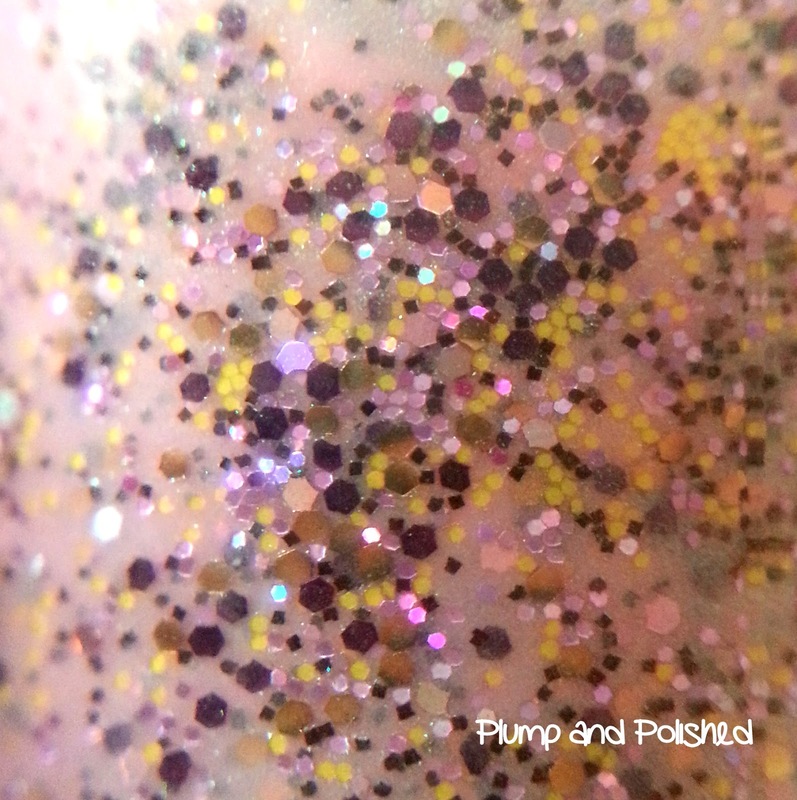 Polish Addict Nail Color can be purchased through the Big Cartel shop. For all things Polish Addict, check out the Facebook Fan Page. Those glitters are really pretty in the macro shot. I love the combo of pink, brown, and gold. That polish makes me think of ice cream like mint chocolate chip only pink. Maybe I'm just hungry. Goodness...nail art ...that combo of fabulous ink, the Black Milk, AND that fun stamped mani..... it's sensational!